The Colorado State Fair has been a part of Colorado's agricultural history for over 140 years; Colorado is proud to honor that legacy by promoting youth and agriculture. Every year, this event strives to be better than before, and this year is no different. Colorado State Fair has various events on their grounds and in the creative arts building, exhibit halls, fine arts building and the palace of agriculture. 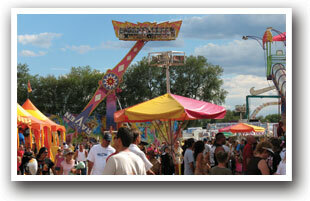 In addition, the grounds feature carnival rides. 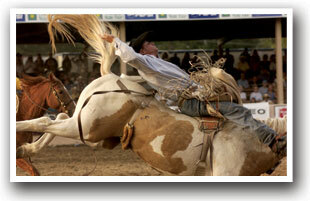 Get ready for nonstop entertainment at one of the largest pro rodeos in the country. Highlights include a livestock and horse show, parades, concerts, art exhibitions, a Fiesta Day, and an electrifying carnival all at the Pueblo Fairgrounds. 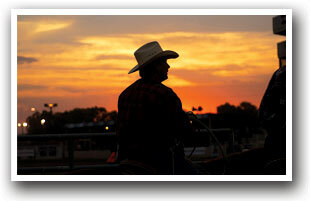 Some events begin before the Fairgrounds officially open and some attractions stay open later. Food and commercial vendors open for business at 11:00 am. Free attractions include: Wool Warriors Mutton Bustin' at Fountain Park Walkway, 12th Annual Hispanic Art Exhibit at the Cultural Heritage Center, 9th Annual Street Vault at Fountain Park Walkway, Sandscapes Sand Castle exhibit, Cow Butter Sculpture in the Colorado Building, AG-venture & Children's FFA Barnyard & petting zoo in the Agricultural Pavilion. FIESTA DAY! The Colorado State Fair's Annual Fiesta Day Parade is celebrating its 48th Anniversary this year. This year's theme has yet to be announced. The traditional Mariachi Mass in Bessemer Park begins at 8:00 am and the Fiesta Parade begins at 10:00 am on East Abriendo Avenue and travels down Northern Avenue ending on Sprague Avenue. 6 trophies will be awarded to the most outstanding parade entries. Enjoy the display of Mexican bands, costumes, vehicles and the Fiesta Queen and Court! Traveling from the North: I-25 South to Exit 97A (Central Avenue Exit). Go north one block to Northern Avenue. Turn left on Northern Avenue to Prairie Avenue. Turn right on Prairie Avenue and go two blocks to fairgrounds. Traveling from the South: Take I-25 North to Exit 97A (Central Avenue Exit). Go north one block to Northern Avenue. Turn left on Northern Avenue to Prairie Avenue. Turn right on Prairie Avenue and go two blocks to fairgrounds. Traveling from the West: Take Highway 50 East to Pueblo Boulevard. Turn right on Pueblo Boulevard to Thatcher Avenue. Turn left on Thatcher Avenue to Prairie Avenue. Turn right on Prairie Avenue and go four blocks to fairgrounds. Traveling from the East: Take Highway 50 West to 4th Street. On 4th Street go west. Turn left at Santa Fe Avenue. Travel south on Santa Fe Ave. to Northern Avenue. Turn right on Northern Ave. Travel west on Northern Ave. to Prairie Avenue. Turn right on Prairie Ave. Traveling north on Prairie Ave., the fairgrounds will be on your right. Colorado State Fair Fairgrounds Map, Pueblo, Colorado.